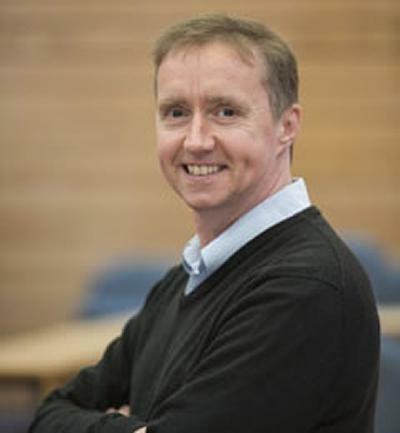 His research interests include performance characterisation of orthopaedic implants and materials via non-invasive optical, acoustic and x-ray based experimental methods, and using statistical methods to predict the behaviour of implants in the face of uncertainty due to surgical approach and patient variability. Martin graduated with a degree in Materials Science from the University of Manchester in 1991, and spent time in industry researching carbon fibre composite materials. He was awarded his PhD in 1995 by the University of Southampton for research into improving the corrosion resistance of titanium medical devices. He was appointed a senior research fellow in 1999, became a lecturer in 2003, and a Reader in 2006. Details of research impact can be found here. The project will develop the technology to produce rapid manufactured prostheses, for small joint and dental implant applications. Dickinson, A., Taylor, A., Roques, A., & Browne, M. (2013). Measuring the adhesion of Ti/HA coatings to non-metallic implant materials. Orthopaedic Proceedings, 95-B, 286. Dickinson, A., Taylor, A., & Browne, M. (2012). Impact loads and stresses in hip resurfacing. The Journal of Bone and Joint Surgery, 94-B. Coultrup, O. J., Browne, M., Hunt, C., & Taylor, M. (2009). Experimental verification of finite element damage accumulation models of bone cement fatigue and the importance of accounting for internal defects. Journal of Biomechanical Engineering, (131), 0510007-1. Leung, S-Y., Browne, M., & New, A. M. R. (Accepted/In press). Smooth surface micro finite element modelling of a cancellous bone analogue material. Proceedings of the Institution of Mechanical Engineers, Part H: Journal of Engineering in Medicine. Mehrez, L., New, A., Bah, M. T., & Browne, M. (2006). Comparative study of probabilistic methods applied to a 3D finite element model of a THR. Journal of Biomechanics, 39(S1), S67-S67. Leung, S. Y., New, A. M. R., & Browne, M. (2006). Modelling the mechanics of the cement-bone interface. Journal of Biomechanics, 39(S1), 515-515. Taylor, A., Roques, A., Browne, M., & New, A. (2005). Evaluation of initial stability of a novel composite stem. Transactions of the Annual Meeting - Orthopaedic Research Society, 30. Hussein, R., Sheppard, J., Palissery, V., Browne, M., & Taylor, M. (2004). The effect of tapered pegs on tibial tray subsidence in closed cell foam. Journal of Bone and Joint Surgery, 86 B(Supplement III), 252. Ku, C. H., Browne, M., Gregson, P. J., Corbeil, J., & Pioletti, D. P. (2002). The effect of metal ion release from treated Ti-6Al-4V surfaces on the expression of apoptotic genes using cDNA microarray. Transactions of the Annual Meeting - Orthopaedic Research Society, 27. Browne, M., Styles, C. M., Gregson, P. J., & Sinclair, I. (2002). Variable amplitude loading of biomedical alloys. ASTM/SFMM Symposium on Fatigue Testing and Analysis Under Variable Amplitude Loading, 53. Rankin, K., Browne, M., & Dickinson, A. (2017). Digital image correlation for strain analysis of whole bones and implants. In R. Zdero (Ed. ), Experimental methods in orthopaedic biomechanics (pp. 65-83). Cambridge, US: Academic Press. Mehrez, L., Bah, M. T., & Browne, M. (2005). The application of probabilistic methods for the assessment of hip replacement integrity. In Transactions of the 51st Annual Meeting of the Orthopaedic Research Society Orthopaedic Research Society. Browne, M., Shearwood-Porter, N., & Sinclair, I. (2017). The role of microconstituents on the fatigue failure of bone cement. Paper presented at 7th International Conference on Fatigue Design, Senlis, France. Woods, C., Taylor, A., Browne, M., & Dickinson, A. (2014). Predicting bone remodelling around root-form dental implants. 7th World Congress Biomechanics, Boston, MA, United States. Bah, M. T., Browne, M., Young, P. G., Bryan, R., Xuan, V. B., & Dunlop, D. G. (2011). Effect of implant positioning in cementless total hip replacements: a new computational framework. Paper presented at Engineers and Surgeons: Joined at the Hip III, United Kingdom. Ozturk, H., Bah, M. T., Nair, P. B., & Browne, M. (2011). Stochastic modelling and prediction of cementless implant primary stability. Paper presented at Engineers and Surgeons: Joined at the Hip III, United Kingdom. Bah, M., Browne, M., Xuan, B., Bryan, R., & Young, P. (2011). The influence of stem positioning on bone strains in cementless total hip replacements. Paper presented at 2011 Simpleware Users Meeting, United Kingdom. Bah, M., Nair, P., & Browne, M. (2010). A novel computational framework for assessment of the effect of interfacial gaps in cementless total hip replacements. Paper presented at 6th World Congress of Biomechanics (WCB 2010), Singapore. Ozturk, H., Nair, P. B., Bah, M. T., Evans, S. L., Jones, A. M. H., & Browne, M. (2010). Computational and experimental assessment of primary stability of a cementless total hip replacement: the effect of the stem positioning. Paper presented at 9th International Symposium Computer Methods in Biomechanics & Biomedical Engineering, Spain. Ozturk, H., Bah, M. T., Nair, P. B., & Browne, M. (2010). Does the implant pivot position affect the outputs of probabilistic analyses of the cementless total hip replacement?. Paper presented at 6th World Congress on Biomechanics (WCB 2010), Singapore. Bah, M. T., Nair, P. B., & Browne, M. (2010). Rapid analysis of implant positioning effects in cementless total hip replacements. Paper presented at 17th Congress of the European Society of Biomechanics, United Kingdom. Bah, M. T., Nair, P. B., & Browne, M. (2009). A novel computational tool for the analysis of implant positioning effects in cementless total hip replacements. Paper presented at 22nd Annual Congress of the International Society for Technology in Arthroplasty, United States. Cherrett, T., McLeod, F., Maynard, S., Hickford, A., Allen, J., & Browne, M. (2009). Understanding retail supply chains to enable ‘greener’ logistics. Paper presented at Logistics Research Network Annual Conference, . Mavrogordato, M. N., Taylor, M., Taylor, A., & Browne, M. (2008). Combined non-destructive-evaluation of cement shrinkage effects in a total hip replacement model. 1832-1832. Poster session presented at 54th Annual Meeting of the Orthopaedic Research Society, . Strickland, M. A., Browne, M., & Taylor, M. (2008). Influence of wear algorithm formulation on computational-experimental corroboration. 1916. Poster session presented at 54th Annual Meeting of the Orthopaedic Research Society, . Leung, S-Y., Browne, M., & New, A. M. R. (2007). Smooth surface micro finite element modelling of a cancellous bone analogue material. Paper presented at European Society of Biomechanics Workshop 2007: Finite Element Modelling in Biomechanics and Mechanobiology, . Strickland, M. A., Browne, M., & Taylor, M. (2007). The effect of ligament variability on TKR performance – a probabilistic study. Paper presented at 53rd Annual Meeting of the Orthopaedic Research Society, San Diego, United States. Strickland, A. M., Browne, M., & Taylor, M. (2006). Probabilistic computer-aided analysis of variables affecting the performance of total knee replacement. Paper presented at Biomedical Futures 2006 – Musculoskeletal Biomechanics (Royal Academy of Engineering), United Kingdom. Browne, M., Jeffers, J., & Saffari, N. (2005). Non-destructive evaluation of cemented metallic implants for pre-clinical prediction of implant loosening. Paper presented at 19th European Conference on Biomaterials, . Jeffers, J., Browne, M., & Taylor, M. (2005). Parameters influencing the fatigue failure of the implanted femur cement mantle. Paper presented at 19th European Conference on Biomaterials [ESB 2005], . Jeffers, J., Browne, M., Roques, A., & Taylor, M. (2005). The simulation of bone cement fatigue with experimental validation. 279. Poster session presented at 51st Annual Meeting of the Orthopaedic Research Society, . Sinnett-Jones, P. E., Browne, M., Sinclair, I., Jeffers, J. R. T., & Saffari, N. (2005). The tomographic validation of non-destructive techniques for crack detection in acrylic bone cement. Poster session presented at 19th European Conference on Biomaterials [ESB 2005], . Saffari, N., Browne, M., & Rus, G. (2005). Ultrasonic techniques for the assessment of aging and damage accumulation in PMMA cement and cement/metal interfaces. Poster session presented at 19th European Conference on Biomaterials [ESB 2005], . Roques, A., Browne, M., & Taylor, A. (2004). Acoustic emission assessment of the effect of unloading on the fatigue life of bone cement. 1454. Paper presented at 4th Biomaterials World Congress, . Jeffers, J. R. T., Roques, A., Browne, M., & Taylor, M. (2004). Damage accumulation in bone cement measured by acoustic emissions. 14th European Society of Biomechanics Conference (ESB 2004), . Bah, M. T., & Browne, M. (2004). Failure of the cement mantle in hip implants: a probabilistic approach. Paper presented at 50th Annual Meeting of the Orthopaedic Research Society, . Roques, A., & Browne, M. (2004). Failure prediction of bone cement during fatigue using viscoelastic modeling. 1455. Paper presented at Proceedings of the 7th World Biomaterials Congress, . Browne, M., Roques, A., Rooke, A., & Taylor, A. (2004). On the relationship between strains generated during bone cement polymerisation and the relief mechanisms observed using acoustic emission. 1453. Paper presented at 7th World Biomaterials Congress, . Bah, M. T., Browne, M., & New, A. M. (2004). Probabilistic analysis of debonding process in cemented hip implants. 1-6. Paper presented at 6th International Symposium in Biomechanics & Biomedical Engineering, . Mehrez, L., Bah, M. T., & Browne, M. (2004). Reliability analysis: a new approach to assess the performance of a cemented total hip replacement. In Proceedings of the 7th Engineering Structural Integrity Assessment (pp. 143-150). EMAS. Mehrez, L., Bah, M. T., & Browne, M. (2004). Reliability and sensitivity analyses of two simplified THR models. Paper presented at 14th European Orthopaedic Research Society (EORS) Meeting, . Mehrez, L., Bah, M. T., New, A. M., & Browne, M. (2003). Analysis of the factors affecting cemented hip implant performance using reliability methods. Paper presented at 1st International Congress on Computational Bioengineering, Spain. Curtis, N., New, A., Taylor, M., & Browne, M. (2003). Effect of component alignment and ligament balancing on the passive stability of the replaced knee. In Proceedings of the 2003 Summer Bioengineering Conference (pp. 1177-1178). New York, USA: American Society Of Mechanical Engineers (ASME). Bah, M. T., & Browne, M. (2003). Probabilistic analysis of a cemented hip implant. 33-9. Paper presented at University of Southampton School of Engineering Sciences Postgraduate Conference, . Bah, M. T., & Browne, M. (2003). Probabilistic analysis of a cemented hip implant. Paper presented at 1st International Congress on Computational Bioengineering, Spain. New, A. M. R., Browne, M., Barrett, D. S., & Watkins, N. D. (2003). Some factors affecting load transfer in cemented tibial components in total knee replacement. Paper presented at 1st International Congress on Computational Bioengineering, Spain. Jeffers, J. R. T., Browne, M., & Taylor, M. (2003). The effect of creep and load level on the damage accumulation within the cement mantle of total hip replacement. 1181. Paper presented at University of Southampton School of Engineering Sciences Postgraduate Conference, . Browne, M., Mowlem, M. C., Mountney, J., Kulkarni, S., & Barrett, D. S. (2002). Assessment of a novel femoral component removal technique for revision surgery. In Proceedings of the IVth World Congress in Biomechanics, Calgary, Canada, 4-9 Aug 2002 (pp. p.930). Calgary, Canada: World Council of Biomechanics. Palissery, V., Browne, M., & Taylor, M. (2002). Characterisation of a substitute material to model cancellous bone in in vitro implant migration studies. 691. Poster session presented at IV World Congress of Biomechanics, Canada. Browne, M., Styles, C. M., Sinclair, I., & Gregson, P. J. (2002). Effect of variable amplitude loading on biomedical alloys. Paper presented at 17th European Society for Biomaterials Conference, . Roques, A., New, A., Taylor, A., Baker, D., & Browne, M. (2002). Measurement of residual stress due to volumetric shrinkage in bone cement. 941. Paper presented at Proceedings of the IVth World Congress in Biomechanics, . Ku, C. H., Browne, M., Gregson, P. J., & Pioletti, D. P. (2001). Biocompatibility tests of different Ti6Al4V surface treatments. T17. Paper presented at 16th Conference of the European Society for Biomaterials, . Palissery, V., Taylor, M., & Browne, M. (2001). Characterisation of static and fatigue behaviour of a polyurethane foam material to model cancellous bone. Paper presented at Conference of European Society for Biomaterials 2001, . Gregson, R. K., Petley, G. W., Yonge, C., Peebles, A., Browne, M., Clough, J. B., & Warner, J. O. (2001). Development and assessment of a system to quantify paediatric chest physiotherapy techniques. 23. Paper presented at 2001 Congress of the Chartered Society of Physiotherapy, . Eniolotu, O., Taylor, A., New, A., Roques, A., & Browne, M. (2001). Experimental and analytical evaluation of the dynamic change in viscosity during PMMA bone cement curing. LMP25. Paper presented at 16th European Conference of the European Society for Biomaterials, . Gregson, P. J., & Browne, M. (2001). Lifetime predictions for orthopaedic implants. In K. M. Holford, J. A. Brandon, J. M. Dulieu-Barton, M. D. Gilchrist, & K. Worden (Eds. ), Damage Assessment of Structures IV (pp. 383-394). (Key Engineering Materials; Vol. 205, No. 293-294). Trans Tech. Gregson, R. K., Browne, M., Petley, G. W., Monk, C. J., & Clough, J. B. (2000). Assessment of the Novel™ pliance pressure distribution system. Paper presented at Sixth Annual National Conference & Exhibition of the Institute of Physics and Engineering in Medicine, . Waterhouse, T., Browne, M., & Taylor, M. (2000). Mechanical evaluation of hydroxyapatite coated implants loaded in vivo. Paper presented at Proceedings of 6th Postgraduate Conference in Engineering Materials, . Roques, A., Browne, M., Taylor, M., & Thompson, J. I. (2000). Non destructive evaluation of bone cement under cyclic loading. Paper presented at Proceedings of 6th Postgraduate Conference in Engineering Materials, . Ku, C. H., Pioletti, D. P., Browne, M., & Gregson, P. J. (2000). Osteoblast differentiation on surface treated Ti-6Al-4V alloy. Paper presented at Sixth Postgraduate conference in Engineering Materials, Southampton, United Kingdom. Palissery, V., Taylor, M., & Browne, M. (2000). Prospective assessment of implant design (PAID): evaluation of mechanical properties of cancellous bone analogous material. Paper presented at Sixth Postgraduate conference in Engineering Materials, Southampton, United Kingdom. Coultrup, O. J., Browne, M., Hunt, C., & Taylor, M. (1970). Computational evaluation of the effects of internal defects on fatigue damage accumulation in bone cement. 1852-1852. Poster session presented at 54th Annual Meeting of the Orthopaedic Research Society, . Dopico-Gonzalez, C., New, A. M. R., & Browne, M. (1970). Probabilistic analysis of an uncemented total hip replacement. Paper presented at European Society of Biomechanics Workshop 2007: Finite Element Modelling in Biomechanics and Mechanobiology, .